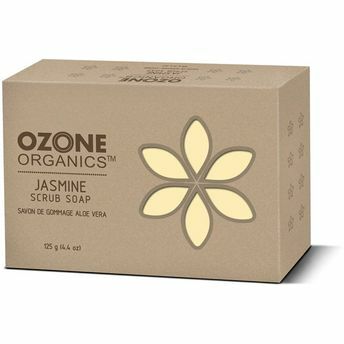 Ozone Organics Jasmine scrub soap cleanses and nourishes the skin and gives a natural glow. The health benefits of jasmine are truly astounding, but what sets it truly apart is its fragrance. Its enchanting aroma will captivate you, thus relaxing you and soothing your mood. Our Jasmine Scrub Soap brings together the perfect combination of incomparable health benefits and wondrous aroma therapy.